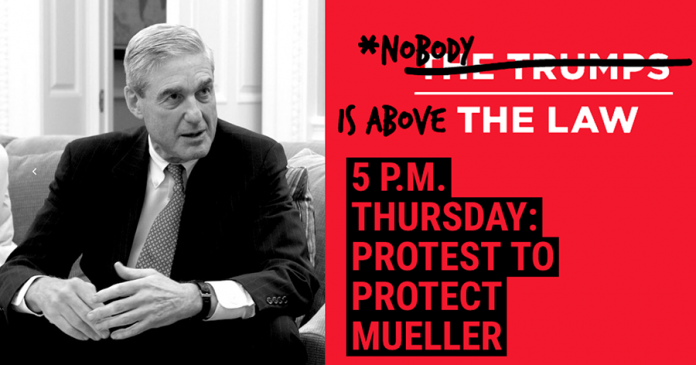 Protesters are gathering all across the nation for a Mueller Protection Rapid Response rally via MoveOn Civic Action group. Americans are sending the Trump Administration a message that Donald Trump is not above the law. Cities all across the greater Los Angeles area are hosting a rally and WeHo is no exception. There is a rally taking place in West Hollywood on Thursday, November 8, at 5pm, located at West Hollywood Park, 627 San Vicente Blvd., across the street from Pacific Design Center, next to the West Hollywood library. Parking is available at the adjacent parking deck near the library, or metered parking parking on the street. Check metro listings for major bus routes to the WeHo Library. Bird and Lime scooters are banned in WeHo, but WeHo Bike Shares are available to get across the city. Note: If you choose to attend an event, you agree to engage in nonviolent, peaceful action, to act lawfully, and to strive to de-escalate any potential confrontations with those who may disagree with your values. MoveOn Civic Action is a 501(c)(4) organization which primarily focuses on nonpartisan education and advocacy on important national issues. MoveOn.org Political Action is a federal political committee which primarily helps members elect candidates who reflect our values through a variety of activities aimed at influencing the outcome of the next election. MoveOn.org Political Action and MoveOn.org Civic Action are separate organizations.